At the beginning of the twentieth century, a series of sleeping sickness epidemics (Human African Trypanosomiasis) ravaged across sub-Saharan Africa. Killing over 250,000 Africans in Uganda and over half a million in the Congo basin between 1900 and 1910 alone, the disease spread quickly, drawing the attention of the colonial powers. From then onwards, Britain, France, Germany, Portugal, and Belgium sent scientific missions to their colonial territories in order to investigate and to fight the disease. Between 1900 and 1914, a total of 17 medical expeditions were undertaken to Uganda, Anglo-Egyptian Sudan, Northern Rhodesia, Southern Rhodesia, Nyasaland, Gambia, the Congo Free State/Belgian Congo, German East Africa, Cameroon, Togoland, French Equatorial Africa, Angola, and Principe. As a result of these epidemics and corresponding humanitarian expeditions, sleeping sickness developed quickly into a major field of inquiry for European tropical medicine. In the aftermath of the First World War, the disease caught the attention of the League of Nations. While the League’s main aim was managing peace through international governance, much of its practical work was in social welfare and humanitarian efforts. In terms of medical humanitarianism, this included providing medical aid for refugees and victims of war, setting up vaccination programmes and investigating epidemics. The approach was expert-oriented, and designed to develop public health on a scientific basis. Thus in 1924, the newly formed League of Nations Health Organisation (LNHO) decided to sponsor an expert commission on sleeping sickness based in Entebbe, Uganda, for a period of two years. 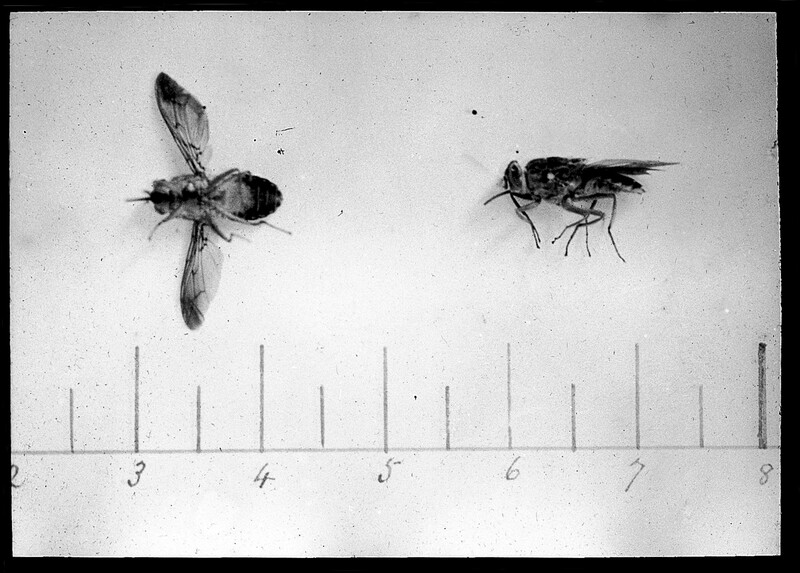 Taking up their work in 1926, LNHO members represented the powers which had already dealt with sleeping sickness in their colonial territories in the pre-war years: Lyndhurst Duke (Great Britain) and Georges Lavier (France) worked in the Entebbe laboratory while Friedrich Karl Kleine (Germany), and Lucian Van Hoof (Belgium) conducted field studies in affected areas in Uganda and the Belgian Congo. The commission also invited the director of the Portuguese Bacteriological Laboratory in Mozambique, M. Maximo Prates, as well Mario Peruzzi, an Italian military doctor, for a research stay of several months at the Entebbe laboratory. Since the LNHO was constantly underfunded and worked best by engaging already existing research structures, it was open to collaboration, most importantly with the pharmaceutical industries. In Uganda, both Kleine and Van Hoof conducted mass drug trials equipped with complimentary pharmaceuticals from German, British, and Belgian industries. 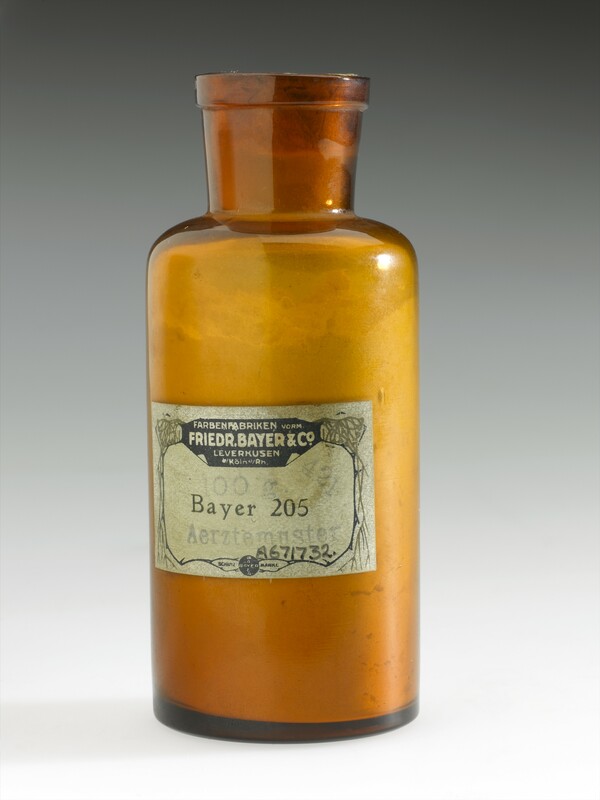 These field studies were a great success most notably for the German Bayer company and their product Bayer 205 since the company had suffered badly from the loss of the German colonies. In the need of large-scale clinical trials which were only possible in endemic areas of sub-Saharan Africa, supporting the commission with newly developed medications was a welcome opportunity. According to ecologist John Ford, the work of the commission did not significantly affect the prevalence of sleeping sickness in East Africa, yet it touches on vibrant discussions of today’s scholarship on the history of humanitarianism. Two transformations within the commission’s work contribute to historiographical debates on the colonial origins of post-war international organisations, development projects, medical humanitarianism and global public health. Firstly, this was the first formally international investigation in this matter with every member of the commission except Duke working on foreign territory. As historian Deborah Neill and others have explored, sleeping sickness research could already draw on a long history of inter-imperial collaboration. Given the scope of the disease and its constant transgression of colonial borders in the decades leading up to the Great War, the colonial powers prioritised pooling expertise and resources despite the political tensions in Europe. Growing interest in international health, particularly with regard to tropical diseases, was a field where pre-war European alliances were remarkably quickly restored after the First World War, including with Germany. This pre-war collaboration in fact laid the groundwork for the German commitment in the League of Nations. German representatives can be found in committees and commissions of the LNHO as early as in 1921, five years before Germany itself became a member of the League. In effect, despite the obvious colonial nature of the sleeping sickness commission, the team members did not mirror the European empires. To be sure, Germany was anything but neutral on the issue of imperialism. When after the WWI the Reich was stripped of its colonial possessions, among tropical doctors like many of the Weimar elites neither the hope of regaining access to colonial territories nor their international involvement disappeared. In this regard, the commission provided both German science and pharmaceutical companies with the opportunity to regain a working field they had lost in 1919. Regardless of the strategical motivation, however, the institution of the League of Nations’ endeavours in Africa did indeed blur colonial demarcations by inviting Western actors who did not represent the colonizer. After all, its commissions not only served as a platform for German re-colonial aspirations. Experts from the US, Japan or Switzerland took the opportunity to pursue projects of their own interest in Africa and to work among the international specialists of the field. In this regard, uncoupling Western medicine practised in the colonies from the administrative colonial power and giving access to an international team of experts was a step towards the internationalisation of global public health. Secondly, in terms of the medical practices, the commission epitomized a transformative phase of colonial medicine. Particularly the fieldwork in rural areas of Uganda and the Congo foreshadowed the ways Western medical development and humanitarian projects would take in the post-war Global South. Instead of the coercive detention in so-called concentration camps which had been vital for the colonial medical campaigns from the pre-war decades, facultative examination and treatment, preventive measures, and mobile medical teams were now the dominating features applied by the commission. Also, more emphasis was put on coordinating efforts, a shift that went hand in glove with engaging local work. Starting already in the 1910s, this change was driven by a variety of reasons, yet most importantly by means of efficiency. Although violent medical practices such as drug therapy experiments and forced detention of the sick were marginalized in the course of this transformation, the relationship between doctors and patients was still shaped by colonial rule. While local expertise, such as environmental measures in order to prevent sleeping sickness, found its way into the medical campaigns, this vernacular knowledge was only rarely acknowledged as such by the Western doctors. Meanwhile their reports, regardless if written in English, French or German, teemed with racist depictions and colonial tropes of white saviourism and virility. Assessing the work of the commission, Mark Mazower’s argument on the origins of the United Nations comes to mind: Was the UN, along with the League, rather an organisational and ideological extension of the British Empire than a product of the post-45 Cold War world? While in terms of aims and infrastructure, the commission gives testament to such continuities, the idea of “imperial internationalism” is far less convincing when it comes to assessing the medical practices deployed. A useful conceptual tool in this context is Helen Tilley’s notion of “epistemic decolonisation” and thus the awareness that many breakthroughs in (medical) science derived from African knowledge and experiences. The point here is not, however, to separate the spheres of governance and science from each other but rather to emphasize how colonial medical engagements gave rise to phenomena generally associated with the post-1945 global health regime. The history of the LNHO sleeping sickness commission unfolds in the complex sphere of imperial governance, internationalism, medical humanitarianism, and globalising pharmaceutical markets. In this regard, it paints a vivid picture of the drivers of global public health throughout the twentieth century. Borowy, Iris. Coming to Terms with World Health. The League of Nations Health Organisation, 1921-1946 (Frankfurt am Main: Campus, 2009). Ehlers, Sarah. ‘Medical Missions and Racial Visions. 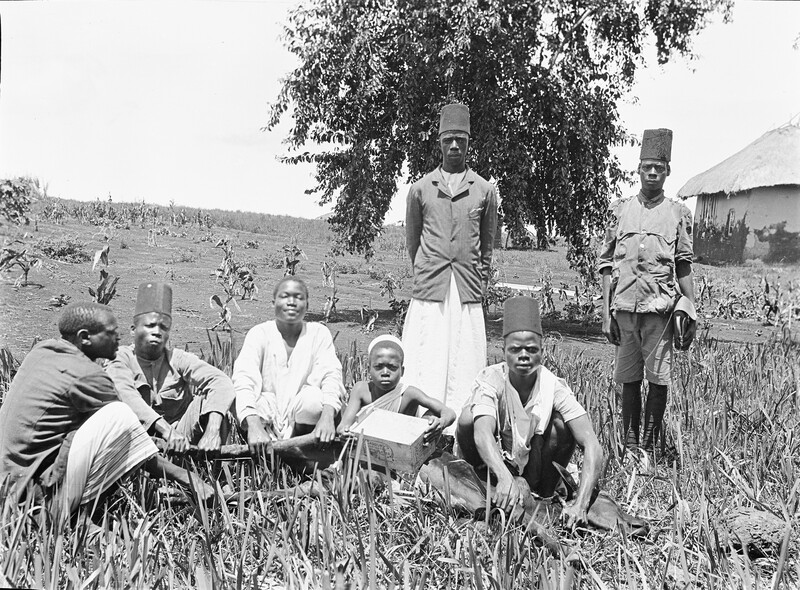 Fighting Sleeping Sickness in Colonial Africa in the Early Twentieth Century’. In Health and Difference: Rendering Human Variation in Colonial Engagements, edited by Veronika Lipphardt and Alexandra Widmer (Oxford: Berghahn, 2016): pp. 91-110. Ford, John. The Role of the Trypanosomiases in African Ecology. A Study of the Tsetse Fly Problem (London: Oxford University Press, 1971). Final Report of the League of Nations International Commission on Human Trypanosomiasis, edited by League of Nations Health Organisation (Geneva: Publications of the League of Nations, 1928). Mazower, Mark. No Enchanted Palace. The End of Empire and the Ideological Origins of the United Nations (Princeton: Princeton University Press, 2009). Neill, Deborah. Networks in Tropical Medicine. Internationalism, Colonialism, and the Rise of a Medical Specialty, 1890-1930 (Stanford: Stanford University Press, 2012). Pedersen, Susan. The Guardians. The League of Nations and the Crisis of Empire (Oxford: Oxford University Press, 2015). Tilley, Helen. Africa as a Living Laboratory: Empire, Development, and the Problem of Scientific Knowledge, 1870-1950 (Chicago: Chicago University Press, 2011). Sarah Ehlers is a research fellow at the Centre for Medical Humanities at the University of Leicester, UK. After studying in Switzerland, France, and Germany, she obtained her Ph.D. from Humboldt University Berlin. Her main research interests include transnational history, history of global public health, and environmental history. Sarah was a participant of the Global Humanitarianism Research Academy 2016. Citation: Sarah Ehlers. ‘Entebbe, 1926: Sleeping Sickness Research between Colonial Medicine and Global Public Health’, in Online Atlas on the History of Humanitarianism and Human Rights, edited by Fabian Klose, Marc Palen, Johannes Paulmann, and Andrew Thompson, 2017-06, urn:nbn:de:0159-2017071030 [2019-04-26]. Except where otherwise noted, content on this site is licensed under a Creative Commons 4.0 Attribution-NonCommercial-ShareAlike License.